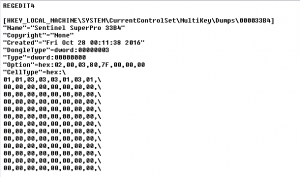 The following procedure allows to emulate the hardware keys like Sentinel SuperPro, with some changes is also possible to emulate the following key: HASP SRM / HL / 4 / Hardlock. The procedure has been tested successfully on Windows 7 64-bit Sp1 installed on a MacBook Pro, if you are looking for 32-bit version read this article. Driver Signature Enforcement Overrider 1.3b. Disable “User Account Control” (UAC) from the Control Panel the “User Account Control” (UAC). Exit and restart the PC and check if you’re in test mode. Run “Driver Signature Enforcement Overrider” and select “Sign a System File” and click next button. Insert the Sentinel Hardware Key, run “ssp2mk” and click the icon on the top left corner. All fields will be compiled as follow. The state will be “connected”. Click on the new *.reg file and confirm to add the change to the System Registry. Run “Regedit” and check if the changes was properly applied (HKEY_LOCAL_MACHINE / SYSTEM / CurrentControlSet / MultiKey / Dumps / key-name). Remove the Sentinel hardware key and restart the computer. On restart you will not need to inserting the Sentinel Key to start up your software. If you are running a 64-bit version of Windows 7 go to this article. Currently, many companies use the expensive Hardward Sentinel Key for software protection. 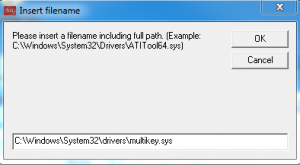 If you need to install the program, regularly purchased, on other PC or if you want to avoid carrying around the precious keys, you can use an emulator program which allow you to use the software without the use of the Sentinel Key. The program that I used for the emulation is Sentinel Emulator 2007, that with some small changes, it can run on Windows Vista. Of course, to allow the emulator to work, you need to have an original Sentinel Key. 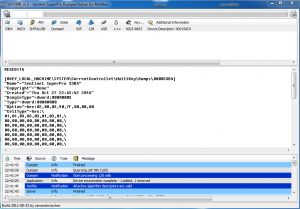 1) Launch the application Sentinel73.exe to install the drivers. 2) Insert the key and wait for the device recognition. 3) Star EDGE (the program has the function to copy the data stored in the key and exporting them to a file with DNG extension). 4) Insert the destination folder. 5) Insert the file name (by Browse). 6) Press the “Dump & Solve” and wait a few minutes. 7) Wait that the dump file is created. To allow the program to work under Vista, go to the properties panel to enable the compatibility mode for Windows XP. 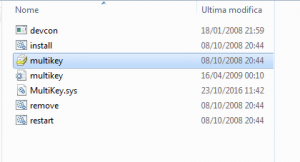 Emulator 2010 is compatible with Vista, but it doesn’t accept the “dump file ” created with previous versions. Press “Start Service” and load “Dump file” with DNG extension.